Monsilys came into sight on front of them, rising from the horizon, a sparkling white city catching and reflecting the sunlight. Philomena felt her spirits lift. Monsilys wasn&apos;t home, but it was impossible not to be moved by its beauty. As they rode closer, she recognised the roofline of the palace at the highest point, the tops of some of the noble houses, and the long city wall. Then the shacks huddled up against the wall came into sight. In the shadow of the wall were a row of crucifixes with corpses hanging on them in various states of decay. Each had a plaque around its neck detailing the man&apos;s crime: this one theft, that one usury, another sedition. "What a stink," said Rainhart. "Oh, and the bodies hanging in cages from the walls of Breg Castle smell like roses," Philomena snapped back. Ever since he had confronted her about marrying Tancred, she had been terrified that he had read the truth of her parentage from Lord Valentin&apos;s mind. But she could easily imagine his reaction if he had learned--or even suspected--that she wasn&apos;t really Lord Valentin&apos;s daughter. He would revel in confronting her with it and bleating about it to Tancred, and Holle, and anyone else who&apos;d listen. See, I knew she wasn&apos;t fit for our company. "Children," said Valentin, not looking back at them. At the gate, Lord Valentin leaned his head out of the carriage window. The guard recognised him and bowed. He said, "I have Tancred Ansgar, Holle Anheldis and Rainhart Dorn of House Reuz with me, as well as Lady Philomena Sylvanus. I would appreciate if you could send a runner ahead to the palace to advise them that we have arrived." "At once, Lord Valentin." The guard beckoned forward a boy and gave him the message. "I will also give you two men to clear the way. There&apos;s a market on in temple square." Valentin inclined his head. "My thanks." Even with two men to move the foot and horse-traffic aside, it took them some time to make their way through the lower quarter. Once they were on the avenues they moved more quickly, past the villas owned by Jovan&apos;s ruling families. Philomena remembered making her way along this road from the docks, heart thudding so hard it made her fingertips ache, clutching Luca&apos;s hand in hers. 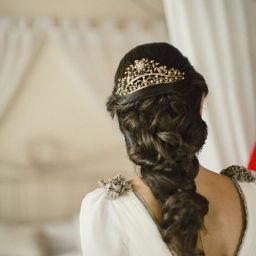 She shook away the memory as they turned onto the climbing road up to the palace, which perched overlooking the city. At the palace gates they were met by Durant, the palace steward. "Lord Valentinus," he said, "welcome back to Monsilys. 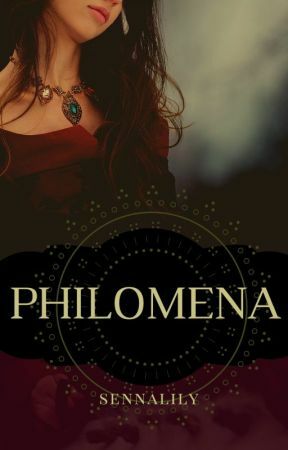 And Lady Philomena Sylvanus, such a pleasure to see you again." Philomena dismounted, feeling like a fraud. Durant had known her as a chambermaid, but he bowed over her hand as if she had been born in the royal wing of the palace. "Good day, Durant," she murmured. Climbing out of the carriage, Valentin came around to make the introductions as their horses were led away. "Is the Empress at home?" "She is," said Durant, "and I have advised her of your arrival. Rooms have been prepared for all of you. Alas, the Empress apologises, but tonight is her dinner with the children, so she will not be able to see your highnesses until tomorrow. But she welcomes you to Monsilys and hopes you will make free use of the amenities of the palace." "Thank you," said Tancred. "We are very grateful for the Empress&apos; hospitality." "Lord Valentinus, you will take dinner with the family?" "If I must," said Valentin, waving a hand. Durant gave him a wry look. Even thought she knew it was absurd, Philomena felt a pang of envy. She would never be asked to dine with the family. "Where have you put us, Durant?" she asked. "I can show their highnesses to their rooms."